IMEI stands for International Mobile Equipment Identity, you can think of IMEI like a serial number in that every iPhone, or other mobile phone for that matter, has a unique IMEI number used to identify it with carriers, manufacturers, and providers. There are several reasons you’d want to know your IMEI, and we’ll get into those in a moment, but before that let’s find the number. We’ll show you four different ways to get this info, either directly on the device itself, or with iTunes. We’ll cover four different ways to obtain a devices IMEI number, these are unique to each mobile phone and iPhone, and you can retrieve them either through the device itself in iOS, through software like iTunes, or even on the physical hardware itself. Use any method that is appropriate for your situation, the IMEI returned will always be the same. Before trying anything else, you can try simply dialing *#06# on your iPhone (or any mobile phone), this should retrieve the IMEI number. 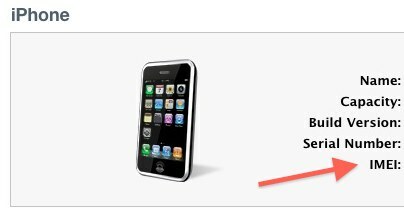 Give it a moment and the IMEI will appear on the screen – this little number dial trick actually works to retrieve the IMEI on other cell phones too, not just the iPhone. If that doesn’t work for whatever reason, or if the phone is turned off, has a dead battery, or whatever, you can use one of these other methods to retrieve the IMEI. All iPhone models will include the IMEI number on the actual device itself. For new iPhones, iPhone 5, iPhone 6, and later, you will find the IMEI printed on the back of the phone in small print. With iPhone 4S and older, the IMEI is printed on the actual SIM card slot, so just eject the card holder and read the printed numbers. Why would you need the IMEI number? If your phone ever gets stolen: your cellular provider can typically ban a phone from accessing the network via it’s IMEI, this is nice because the IMEI is attached to the phone itself and not the SIM card, meaning the entire phone can be blacklisted from a network which renders a stolen phone mostly useless. Know of any other methods of obtaining an iPhone IMEI, or another usage for the iPhone IMEI once you have found it? Let us know in the comments! Just a thought, but if providers blacklist phones by IMEI, chances are that is exactly what is going to happen to anyone who uses the IMEI unlock services. 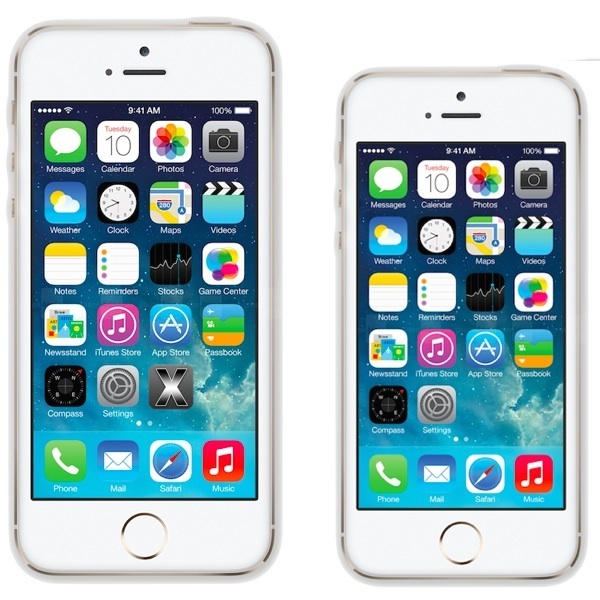 Unlocked or not, the iPhone will be blocked from accessing any network with any SIM. Type *#06# in ANY pone for IMEI. Where do you type it? .. i didn´t know that. I am in deeply trouble with my stolen iphone. here i need to know how i can get the IMEI no of Iphone which i have lost. Please let me know the process how i can get the IMEI no without iphone.Please find the necessary information of my iphone cellular. Hi, the best way to find your I phone IMEI; look at the box from outside. If you do not have try contacting the dealer you purchased from, They should have it. My iPhone 3G is stolen and I have no IMEI number so, I am in deeply trouble with my stolen iphone. 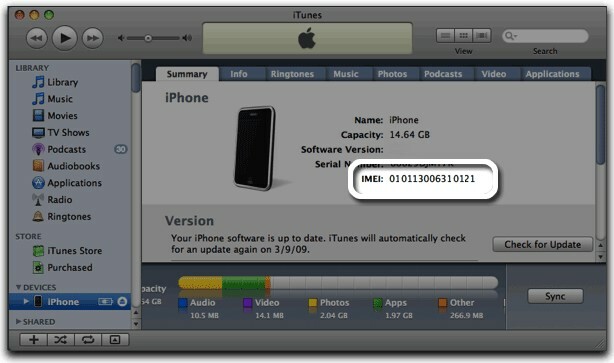 Please let me know how i can get the IMEI no of Iphone? Is it possible to get it from picture information which is taken by my stolen phone. Please let me know the process how i can get the IMEI no without iphone.Please find the necessary information of my iphone cellular. Waiting for prompt reply and will be gateful for any help in my situation. UNLESS you ever connected that phone to your computer through itunes. In this case, you’re in luck. your number will appear instead of ” blah blah “. Careful though – if more than one iphone was EVER connected, you’lll have multiple. Make sure you identify the right phone and report the correct number. How can you do this when using my Mac – do you know? Good morning! I would like to officially open my iPhone 4. My name is Fuhua Ma. My friend bought this phone in store Apple, as a gift this iphone for me. I am not a resident of the U.S., so I can not use it with local operators. I really appreciate your help in my problem.Please send me an email when my requirements will be accepted. my iphone 5s is severely broken and it was never set up to an itunes account, is there any way to retrieve my IMEI number without my iphone 5s being turned on? I lost my phone but know the iemi number. Can I track it to see where it is? Is IMEI # on the back of S6 apple ? Can anyone tell me that by looking on imei number can we guess that the iphone is an American or a Chinese version? Knowing your iPhone IMEI number is helpful for some situations but it is not going to be helpful except for reporting it to your cellular phone company. Since you lost your iPhone your best bet if you lost your iPhone is to use Find My iPhone to lock the device, find it on a map, then make it ping and make noises. No IMEI number needed. Try that out. Good luck finding your iPhone!